The education system in Finland is based on equal access to high-quality education and training. Early childhood education and training (0-5-year-olds) is provided to all families at a reasonable cost or free-of-charge to families with low income. Compulsory education consists of pre-primary education (6-year-olds) and basic education (7-16-year-olds). After this youngsters can choose to study at general upper secondary school or at vocational institutions. Higher education is provided by universities and universities of applied sciences (aka polytechnics). 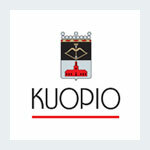 The Lead partner of the Finnish consortium is the Education Department of the City of Kuopio and the unit of general upper secondary education. Main responsibility will be carried out by the NEST-centre (The Network for Global Excellence in Upper Secondary Education and Training) which is the team of international affairs of the unit of general upper secondary education. Kuopio is a municipality located in the region of Northern Savonia, Finland. A population of 110,200 makes it the eighth biggest city in the country. In Kuopio there are five general upper secondary schools and one upper secondary school for adults. You can complete the syllabus of upper secondary education and take the national matriculation examination in all upper secondary schools in Kuopio. Furthermore, three upper secondary schools have a special educational mission granted by the Ministry of Education (sports, music and dance, IB international baccalaureate). In addition, there may be a bias for certain subjects or certain fields of study such as drama, visual arts and media, crafts etc. It is also possible to combine vocational and general upper secondary education. 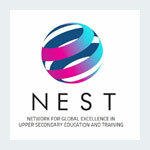 NEST centre, The Network for Global Excellence in Upper Secondary Education and Training, is a specialised agency of the Upper Secondary Schools of Eastern Finland. The centre advances the international skills of the school staff and students with various methods. First, NEST centre delivers information on international affairs and possibilities to upper secondary schools. Second, the international NEST team develops and enhances the global and local networks of the schools. Third, the centre organises events and training which promote the international competences for the upper secondary schools. Moreover the NEST team supports the schools in the identification of funding opportunities as well as assists the school staff in the composition of project proposals, in partner search and in project management. In addition to the international competences the centre aims at developing students’ capacities for future work and entrepreneurial skills of the education in upper secondary schools in Eastern Finland. The NEST centre has offices in Kuopio and Joensuu. The NEST network includes 23 upper secondary schools in four regions of Eastern Finland. The Finnish Associate partner SAVONIA is one of the largest and most versatile Universities of Applied Sciences in Finland and it has appr. 6000 students. 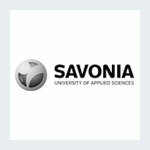 SAVONIA is a limited company like all universities of applied sciences in Finland. It is owned by the cities of Kuopio, Varkaus and Iisalmi. SAVONIA was awarded the Quality Assurance Certificate by the Finnish Higher Education Evaluation Council in 2009, today quality work penetrates all key activities. Our organization of experts educates strong professionals in six different fields of study. Our versatile Degree Programmes offer the students the opportunity to study as a fulltime student or alongside their job (Master’s Degree and specialised studies) or flexibly in the Open University of Applied Sciences. SAVONIA wishes to serve the surrounding work life actively. Our RDI activities offer high-quality services and tailor-made solutions to the development needs of the businesses and work communities. Co-operation, networking and internationalisation are the crucial factors of our success. In SAVONIA, transdisciplinarity is secured by organising RDI into main axes called Competence Networks. These networks are Applied Health &Welfare Technology, Renewed Energy & Machine Industry, and Safe Food &Water production.